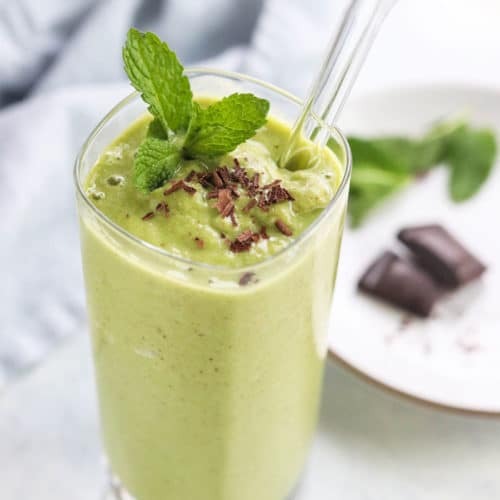 Combine the almond milk, avocado, spinach, peppermint extract, and dates and blend until smooth. Taste and adjust the any flavoring as needed, but keep in mind that the flavor will be diluted slightly when you add the ice in the next step. Add the ice and blend again, until the smoothie is as thick as you'd like. Serve right away.